Sporting Memories Network has been awarded over £480,000 from the Big Lottery Fund to help tackle dementia, depression and loneliness in the elderly. The network helps hundreds of groups and organisations in the UK to roll out projects which are aimed at the elderly. The progamme uses the power of reminiscing and storytelling, focused around sport. Loneliness is a serious issue among elderly people. In England, just over half of over 75s live on their own. Two thirds of all older people state the television is their main form of company. Loneliness is a higher risk factor for early death than physical inactivity and obesity, and on par with smoking. The funding will be used to continue the success of the Sporting Memories Network, to build and expand across larger areas and into other communities. It will train volunteers in London, Bristol and the Southwest, as well as Greater Manchester and Yorkshire. It will work to establish 64 weekly groups in partnerships with local sports clubs, libraries, housing associations, universities and other third sector organisations. Tony Jameson-Allen, Co-founder and Director of the Sporting Memories Network, said: “At Sporting Memories we believe in the power of reminiscing to help combat the debilitating effects of dementia, depression and loneliness. The ASA’s Dementia Friendly Swimming Project uses similar ideas and works to help create a friendly and welcoming environment for people with dementia and their carers. It provides the support they need to enjoy swimming with specially trained staff on site. This helps to remove barriers and enhance the swimming experience. ASA Head of Health and Wellbeing, Lara Lill, said: “Sport has an important part to play in tackling dementia, depression and loneliness in older people. 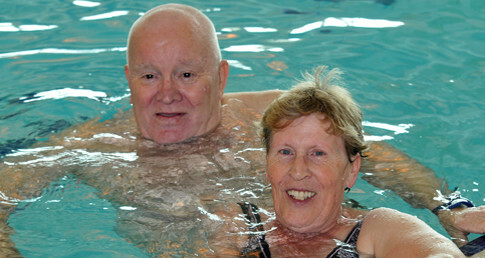 Activities such as swimming can have a huge positive effect on the emotional well-being and quality of life of people living with dementia.